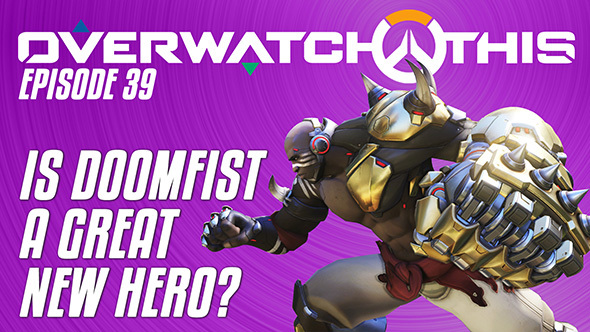 Overwatch This episode 39: Is Doomfist any good? It’s been a week since Doomfist was unleashed on Overwatch’s PTR. That’s plenty of time for us to get to grips with the new kid on the block. To say he’s a complicated hero is making things much more simple than they are, so Matt and Rich sat down to discuss their thoughts. Want more heroes? We speculate over who the next Overwatch character will be. This week’s episode is a Doomfist spectacular but we’ve got more to talk about than Akande himself. After we’ve analysed his moves, and figure out if he’s a good hero or not, we move on to looking at Jeff Kaplan’s post about the current Dive meta, and how the perception of balance is more important than balance itself. Like this episode? Then why not subscribe to PCGamesN on YouTube? There’s an episode every week, plus a whole ever-growing collection of videos looking at everything PC gaming.